A Slice of Smith Life: Receiving and Giving Awards! I had admired others blogs for so long and had no idea how to blog and I didn't know how people found the time to blog! Well, it was last summer when someone encouraged me to blog about all the birthday cakes I have decorated for my children. So I officially entered the blogging world on June 20, 2010 with this post HERE and what a whole new world it's been! Besides featuring my cakes I've decorated, I also enjoy blogging about homeschooling and meeting other homeschool moms from around the world! I love that I can share my Catholic faith with bloggers also and blog about topics that matter the most to me and my family. I follow mostly homeschooling blogs and blogs that inspire and encourage me. I also enjoy following review blogs about books or educational products since I enjoy reading others opinions and deciding if the product would be a fit for our family. I have tried every make-up brand it seems like Mary Kay, BeautiControl, and store brands. I don't have a preference (sorry MK and BC reps) really, although I enjoy using the facial cleansers from Mary Kay. My favorite clothing brand is anything that fits me from friends' and sister's closets and hand me downs or a thrift store. My sister and mom will be the first to tell you that I don't "know" fashion. I don't have time to browse through stores for clothes. I really don't like shopping either as I always get overwhelmed not knowing what looks good together. I like lip gloss and eye-liner. I don't have a favorite color, but I do like this shade of green that I am typing with since this color is similar to my bridesmaids dresses at my wedding. I love The Sound of Music and I never get tired of watching it over and over again! 10. Would you rather forget to put mascara on one eye or forget blush on one side of your face? mascara on one eye since I don't wear it that much anyway. AubrieAnne at Who's Your Editor? It's always so fun to receive and give blog awards in blog world! Tracy... you're so cute...loved your answers! You know I love the Sound of Music... I can't believe I don't own it by now! And, Italy... oh, it is my dream. My husband promises me as soon as I am ready to leave the littlest ones, he'll take me. Maybe in a few years! God bless! Great answers Tracy. 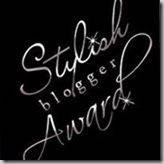 You picked some really wonderful blogs to pass the awards to. Congratulations! Congratulations on your awards. I just joined up with your blog hop and am now following you. Am enjoying meeting so many new friends. Thanks for your hard work. I'm so glad you started blogging, Tracy! The blogosphere would not be the same without you. Stopping by to say hi and vote. It has been a busy week, and we are looking forward to a restful weekend. I hope you are too. Blessings to you and your family. I "hoe" things start to slow down a little for you Tracy. You are so special. I can't imagine what blogging would be like without your constant support, kind words, and your beautiful personality. I feel privileged to call you friend. Have a wonderful and restful Sunday. I voted for you too. =) always! I'm glad you enjoyed my answers! They were fun to write :) How about I'll give you my copy of SOMusic, if your husband will take my family to Rome? That sounds like an even trade doesn't it :) Ha! Ha! I hope you get to Italy soon and a copy of SOMusic! Thanks always for your visit and comments! It's nice to hear from you! I'm so glad you found us at No Ordinary Blog Hop and joined the fun! Thanks for stopping by my blog, commenting and following! I hope you had a blessed weekend and nice to meet you in blog world! Wow! I've been somewhere you haven't (yet). That's amazing :) I hope you get to visit the Caribbean! Thanks for your visits and votes! No problem about the misspelling :) It happens to me all the time! Hope you had a good weekend as well! I know what you mean as passing on awards are work and time consuming. It's great to be able to recognize your blog as "award winning" regardless of whether or not you can pass it on. Hope you had a great weekend! Tracy~thanks for the award!! I too am fashion challenged, but that's okay :) I always enjoy reading your blog, you do a great job, keep up the good work!! You're welcome and it's great to know I'm not the only "fashioned challenged" momma in this world :) Thanks for your kind comments and I've enjoyed following your great blog as well! Thank you so much, Tracy, for giving me this award! I haven't stopped by sooner because I wanted to blog about it and give away the awards, but I have not yet been able to do that! BUT...I will soon...hopefully, today or tomorrow! I truly thank you for the blog love! Oh how sweet! Thank you for passing on the awards! Thank you again so much.....now I have to think of whom I'm passing them onto. So much fun!